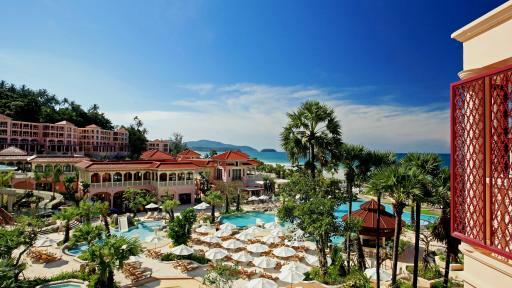 Neighbouring the beautiful Karon Beach, Centara Grand Beach Resort Phuket enjoys a beautiful secluded position that is still conveniently located close to Phuket and Patong Beach with shops, restaurants, entertainment and activities within walking distance. 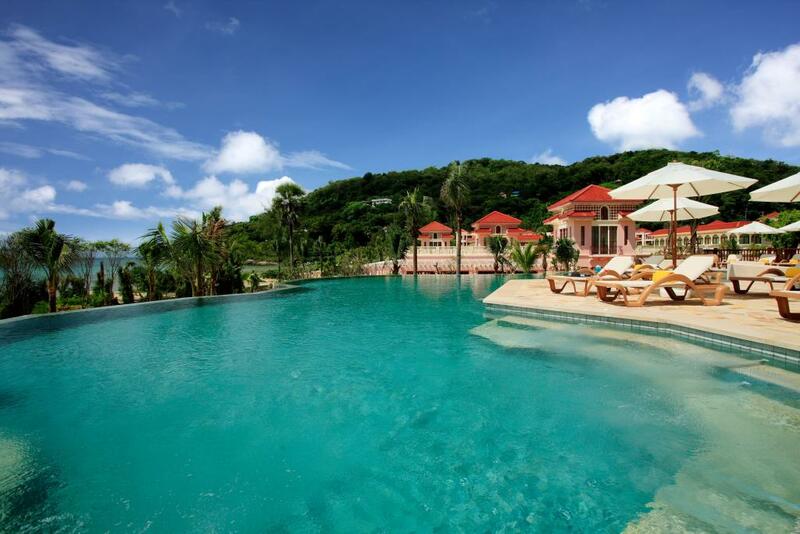 This great resort is also just a 50 minute drive from Phuket's International Airport making it a convenient accommodation option when visiting Thailand. 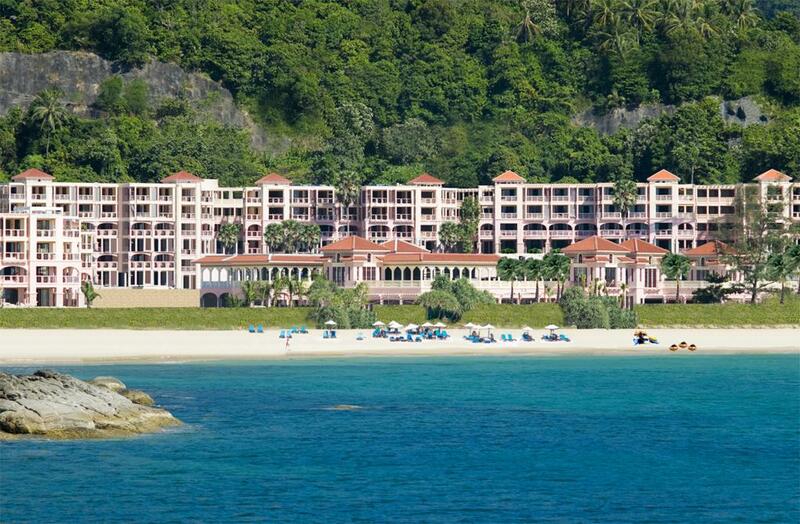 Accommodation at the popular Centara Grand Beach Resort Phuket offers a total of 261 guest rooms which face the Andaman Sea and offer beautiful views of the beach from the private balconies and terraces. 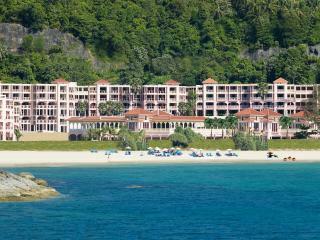 With a variety of room types to choose from guests are well catered for. 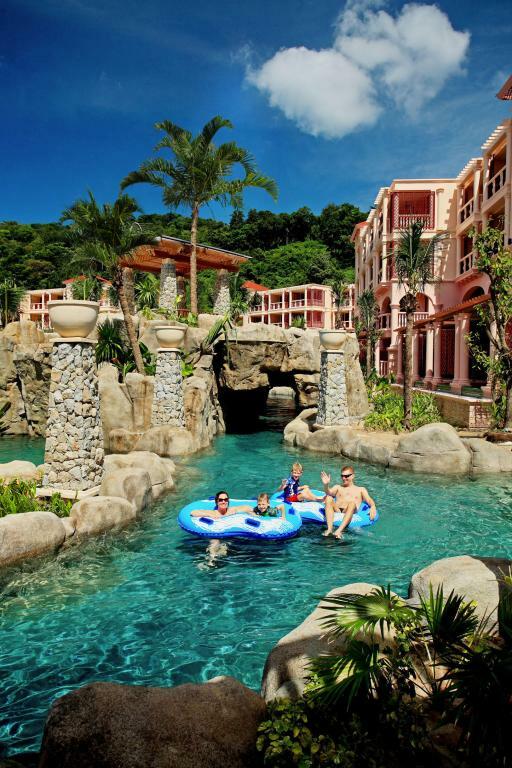 The Premium Spa Deluxe rooms feature stunning ocean vistas from the Jacuzzi on the balcony, the Pool Suites feature a private plunge pool, whilst the Deluxe Ocean Facing rooms are ideal for families. 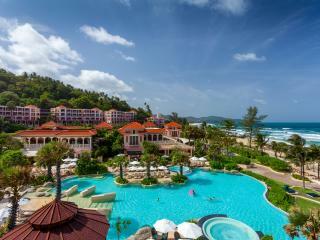 Centara Grand Beach Resort Phuket also enjoys an excellent range of onsite facilities including 4 swimming pools, a dedicated children's pool, water park with slides, waterfall and aquatic activities, bars and restaurants, tennis court, gym, day spa, kids club and exclusive Club Lounge. 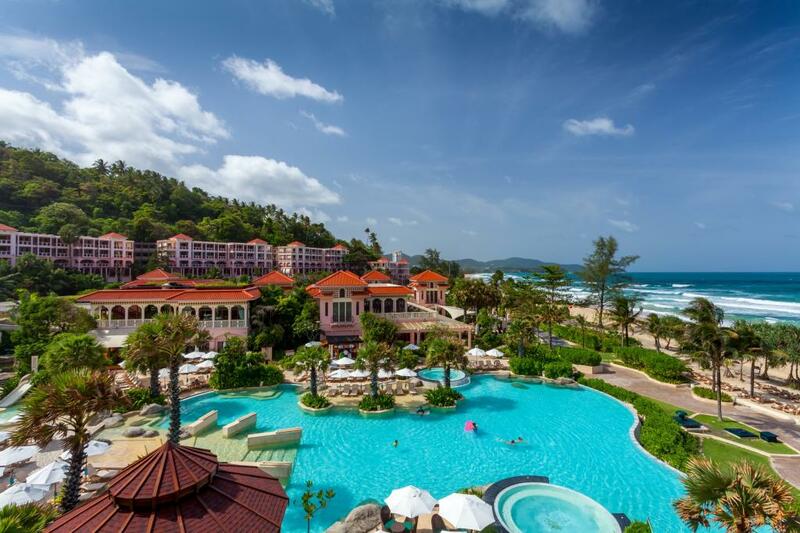 With such a diverse range of accommodation and facilities on offer, Centara Grand Beach Resort Phuket is the ideal accommodation option for your next Thailand holiday. 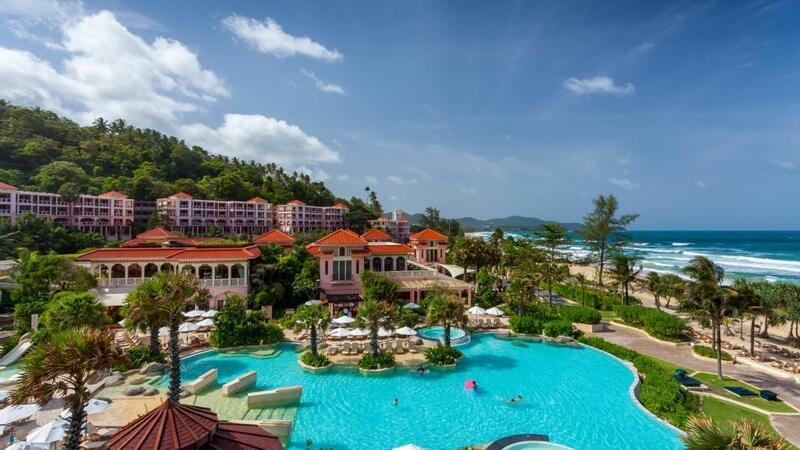 Accommodation at Centara Grand Beach Resort Phuket includes 261 guest rooms, suites and villas featuring Sino-Portuguese styling and private balconies or terraces overlooking the Andaman Sea. 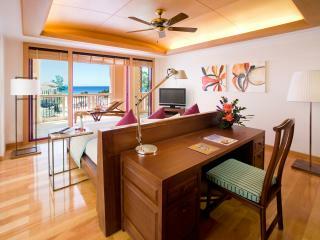 Deluxe Ocean Facing Room: Offers a furnished balcony facing towards the bay and overlooks the resort swimming pool and gardens. Room size is 49m². Bedding is 1 King Bed or 2 Double Beds. Maximum room capacity is 3 Adults or 2 Adults & 2 Children. Interconnecting rooms are available on a request basis and are subject to availability at check in. Rooms interconnect via the balcony only. 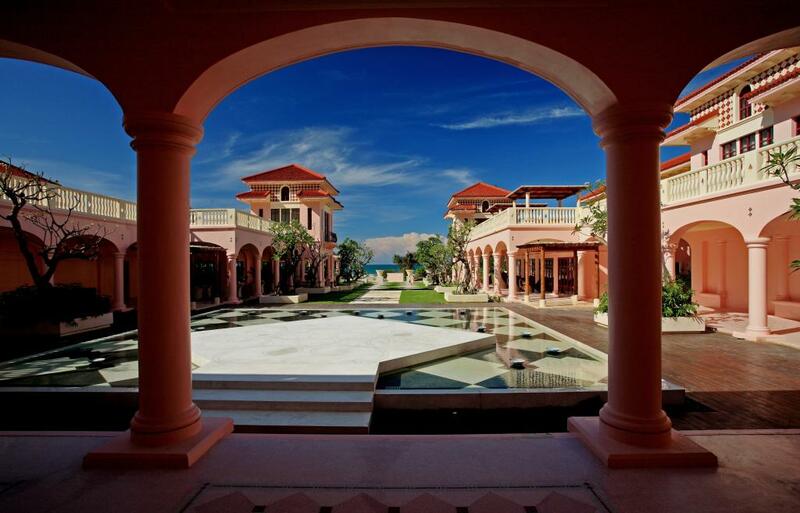 Spa Deluxe Ocean Facing: Offers a large balcony with an outdoor Jacuzzi that faces towards the sea and looks out over the resort swimming pools and garden area. Room size is 49m². Bedding is 1 King Bed. Maximum room capacity is 2 Adults. 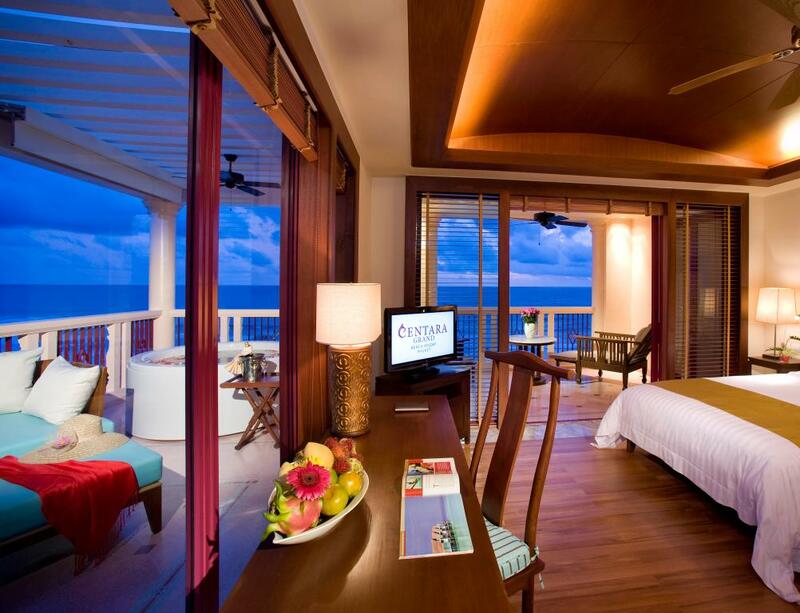 Premium Deluxe Ocean Facing Room: Offers a furnished balcony facing towards the bay and looks out over the resort swimming pools and gardens. Room size is 67m². Bedding is 1 King Bed. Maximum room capacity is 2 Adults. 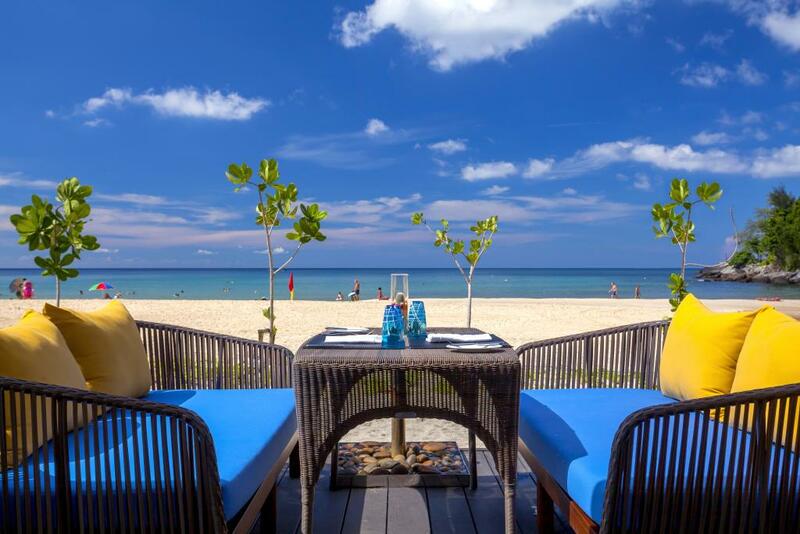 Interconnecting rooms to a Deluxe Ocean Facing Room are available on a request basis and are subject to availability at check in. Rooms interconnect via the balcony only. 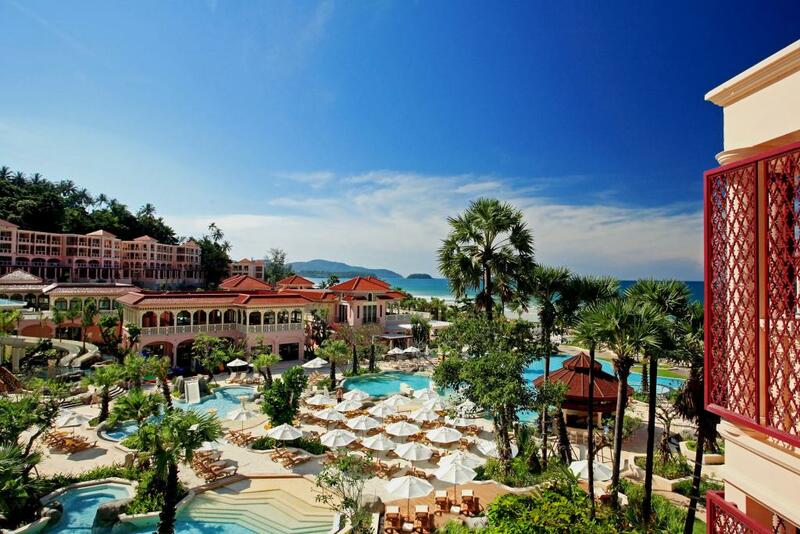 Premium Spa Deluxe: Offers an inviting outdoor Jacuzzi on the furnished balcony that faces the Andaman Sea and looks across the resort swimming pool and gardens. 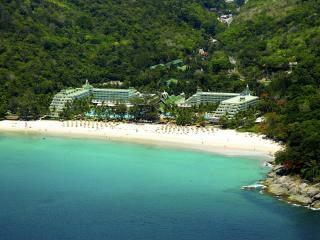 Size is 67m². Bedding is 1 King Bed OR 2 Double Beds. 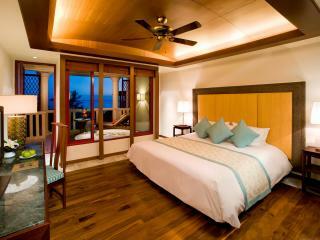 Maximum room capacity is 3 Adults or 2 Adults & 2 Children. 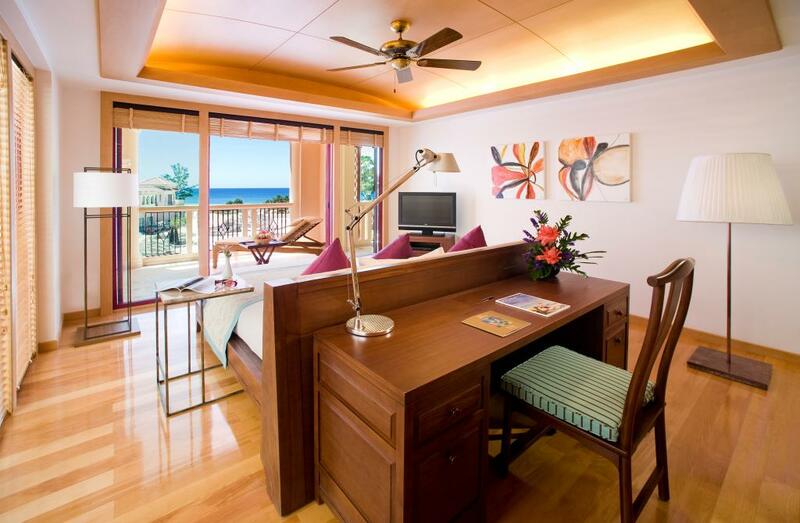 Interconnecting rooms to a Spa Deluxe Ocean Facing are available on a request basis and are subject to availability at check in. Rooms interconnect via the balcony only. 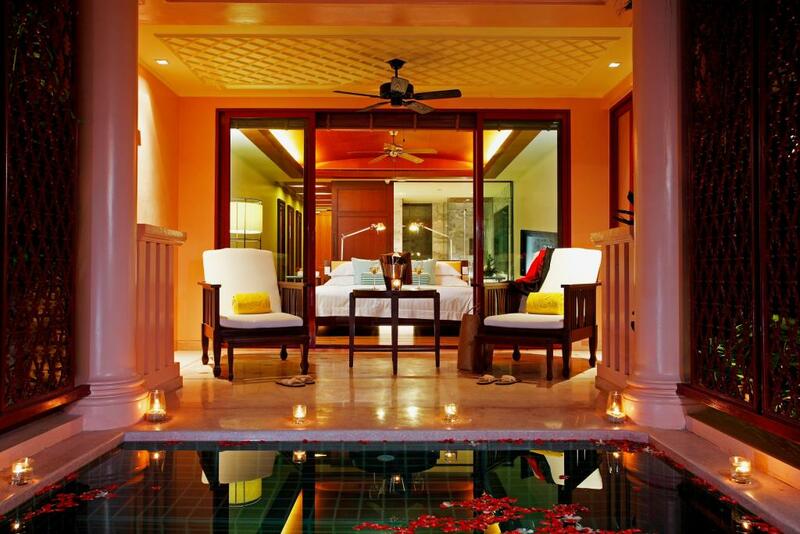 Deluxe Pool Suite: Offers a private plunge pool. Room size is 52m². Bedding is 1 King Bed OR 2 Double Beds. 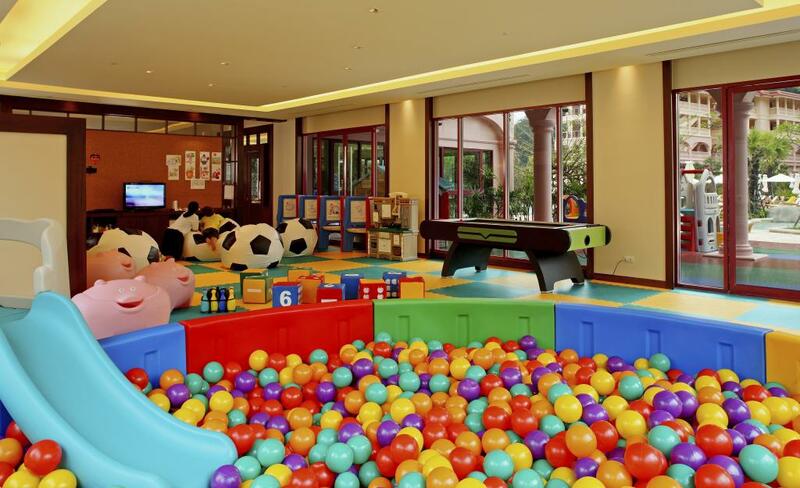 Maximum room capacity is 3 Adults or 2 Adults & 2 Children. 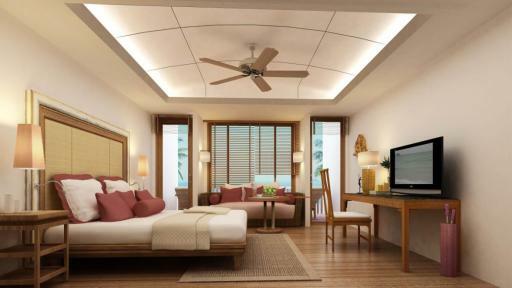 Interconnecting rooms are available on a request basis and are subject to availability at check in. Rooms interconnect via the balcony only. 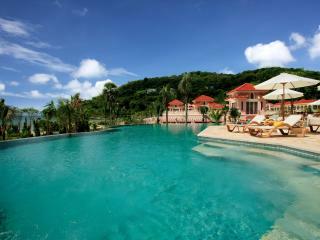 Luxury Pool Suite: Offers a great balance of indoor and outdoor living space with an outdoor private plunge pool. 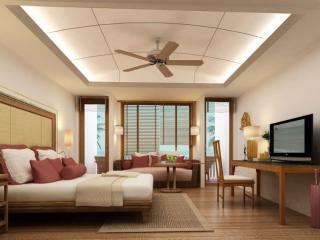 Room size is 83m². Bedding is 1 King Bed or 2 Double Beds. Maximum room capacity is 3 Adults, or 2 Adults & 2 Children. 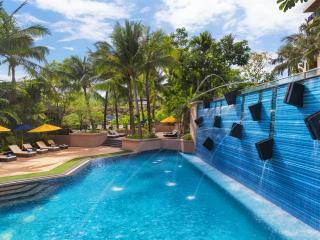 Interconnecting rooms with a Deluxe Pool Suite are available on a request basis and are subject to availability at check in. Rooms interconnect via the balcony only. 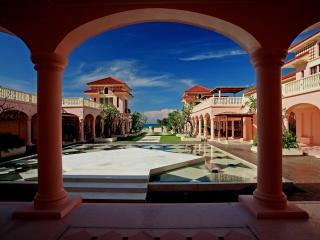 1 Bedroom Pool Villa: Offers a huge living area with an outdoor terrace and outdoor plunge pool. 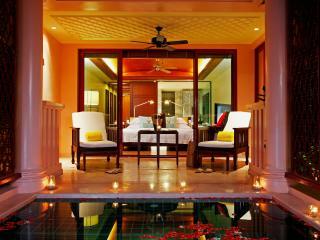 The 1 Bedroom Pool Villa offers access to the Club Lounge and benefits. Room size is 132m². Bedding is 1 King Bed or 2 Double Beds. 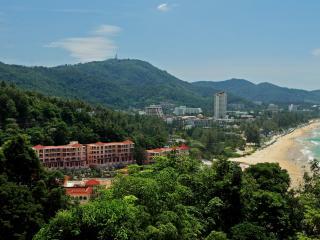 Maximum room capacity is 3 Adults OR 2 Adults & 3 Children. 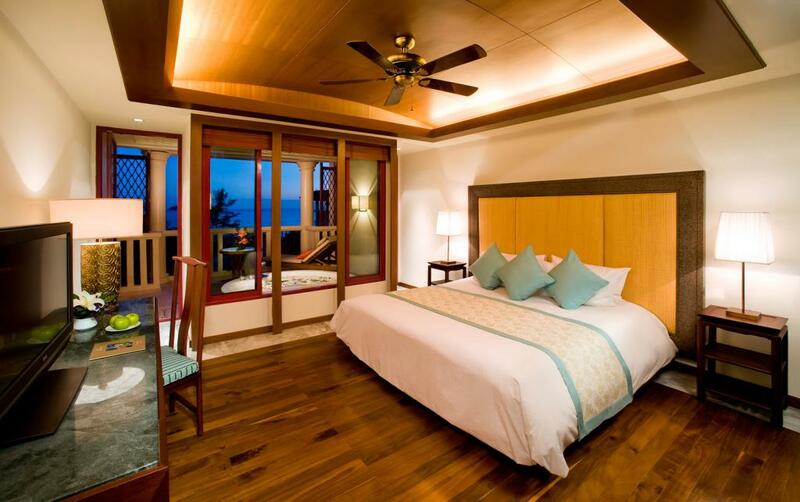 2 Bedroom Pool Villa: Offers a spacious terrace with outdoor plunge pool, living and dining areas plus access to the Club Lounge and benefits. Room size is 209m². Bedding is 1 King Bed and 2 Double Beds. 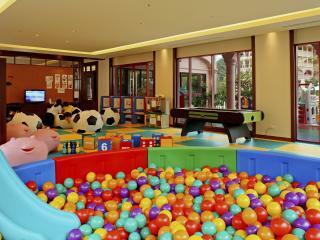 Maximum room capacity is 5 Adults OR 4 Adults & 3 Children. 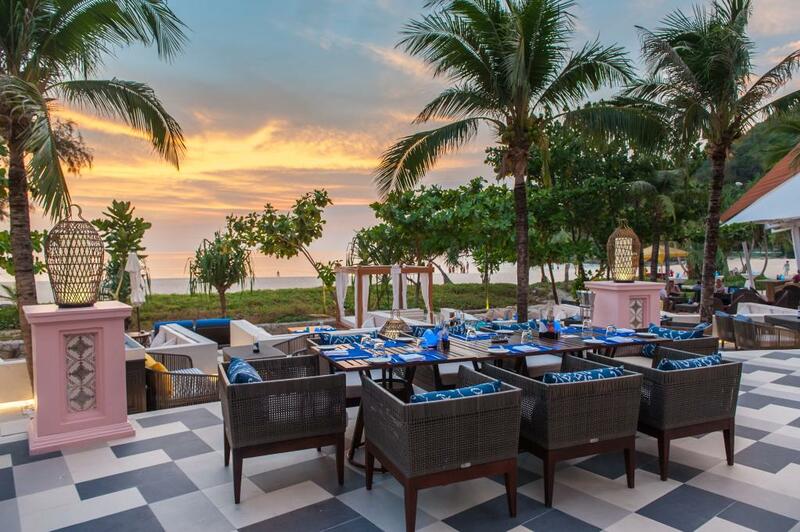 The Cove: Open daily from 6.00am - 10.30pm for Asian and International cuisine served in the dining room or al fresco overlooking the beachfront. 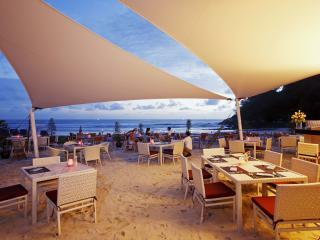 Coast Beach Club & Bistro: Enjoy drinks, tapas, grilled meats and seafood. 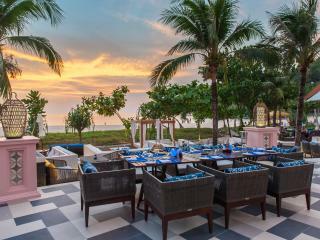 Located on the stunning beachfront overlooking the Andaman Sea, this a great place to catch up with family and friends during the day or as the sun sets. Open daily 11.00am - 11.00pm. 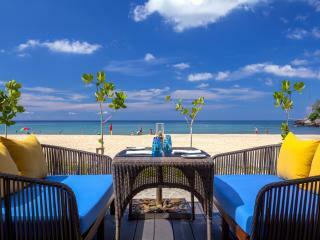 Mare Italian Restaurant: Enjoy traditional Italian dishes made from local produce and fine Italian imports. Open daily 11.30am - 10.30pm. 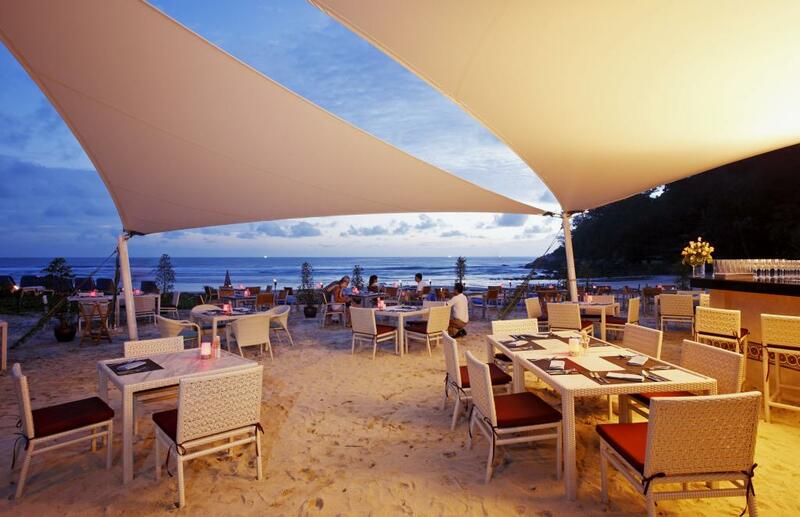 Barefoot Bar: Refreshing cocktails and mocktails, wines and bubbly is served with light meals. Open daily 11.00am - 11.00pm. 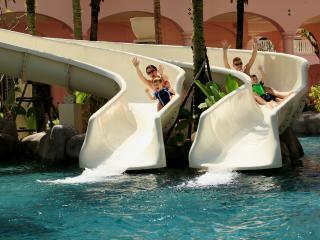 Splash: Open daily from 9.00am - 7.00pm for cold drinks, light refreshments and snacks at the swim up bar. Ripples: Open daily from 9.00am - 7.00pm for light refreshments, cold drinks and poolside snacks. Lobby Lounge: Open daily from 9.00am - 9.00pm for tea, coffee, cold drinks, cocktails and snacks. 24 Hour In-Room Dining is available daily. The Club: An exclusive lounge that features a range of extended services and facilities including private check in, early riser buffet continental breakfast, lunch snacks, afternoon tea, evening cocktails, canapés, all day tea and coffee, luxurious mattresses, upgraded in-room amenities, concierge, complimentary internet, complimentary laundry service, daily turndown, daily newspaper, 10% discount at the day spa and preferred reservation services at restaurants. 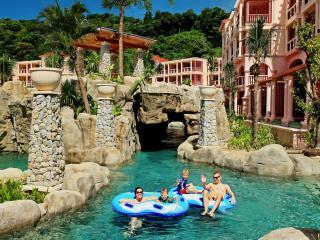 Kids Club: Kids are well and truly looked after at Centara Grand Beach Resort Phuket with a kids club and daily activities including an indoor camp safari, games room and playground as well as a separate meeting area and E-Zone games area for teenage guests. 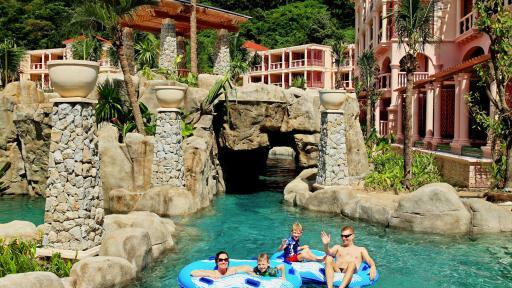 The Camp Safari Kids Club at Centara Grand Beach Resort Phuket is complimentary for children 4 - 9 years. Ratings are averaged based on 61 reviews. 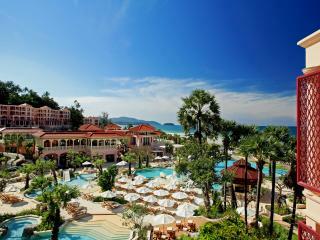 Had a lovely stay at the Centara Grand, great for couples and families. Had a good time the room was ok I thought would be better, was disappointed that I had to pay extra money to have a late checkout!